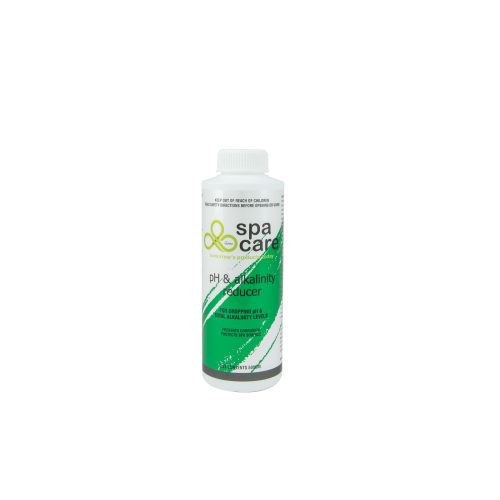 pH & Alkalinity Reducer lowers the pH and Total Alkalinity of spa and hot tub water. Water high in pH and /or Total Alkalinity can corrode equipment, cause scale formation and metal staining, irritate skin and eyes of bathers and reduce the killing ability of chlorine over algae and bacteria. pH should be maintained in the range of 7.2 – 7.6. Total Alkalinity should be maintained between 125ppm-150ppm. It is recommended that your spa water is tested prior to adding pH & Alkalinity Reducer/ Alkalinity & pH Increaser. DO NOT add more than 25 grams of pH & Alkalinity Reducer per 1000 Litres of water at any one time. Always adjust the Total Alkalinity before adjusting the pH. 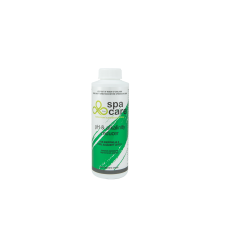 Spa Care™ pH & Alkalinity Reducer should be added in accordance with the directions given.